People who have chronic pain can suffer for years. They may have taken pain medication or tried many of the other pain relieving treatments available, but often the pain persists. Sometimes they will go from doctor to doctor seeking a solution and be offered only new pain medications. Often the pain is of a vague, dull, and aching nature that can disappear for a while and reappear, almost at random. Or, it can be a numb or tingling feeling. It is worse when the muscle is used until it is tired or when the area is exposed to a cold draft. Also, the pain or numbness can appear to move or appear in areas where nothing else seems to be wrong. The pain can go on without end. When someone suffers an injury, they usually describe it as one major pain. The reality is that there are multiple pains that overlap from different parts of the injured area and the person feels the composite of all of the pain components. Even if the injury is permanent, some of the components of the pain may be treatable. An example would be if a person fell and fractured a hip, they could be left with severe chronic pain. If part of the pain is from damage to the muscles that were damaged in the fall, then the muscle pain component is treatable. Successfully treating the muscle pain often makes the difference between having severe pain or having a moderate or mild pain. Sometimes chronic muscle pain is the result of many small traumas over time. Repeatedly straining a muscle or doing an activity that involves a small trauma each time (hitting a tennis ball, repetitive heavy lifting, prolonged keyboard use, or similar experience) may be a cause of chronic pain. The role of the doctor is to identify the components of the pain and explain to you what can be treated and what can not. In many cases the pain comes from soft tissue. This includes muscle, ligament, fascia, tendons, or bursa. Ligament is tissue that connects bones to each other. Fascia is the bundling material that wraps around muscle and between muscle fibers. Tendons are tissue that attaches muscle to bone. Bursa are little sacs that fit between tendons and bone so that movement of the muscle does not cause the tendon to rub against the bone. When these structures are injured they can create a pain that can ache, vary from mild to severe, and change from moment to moment. The most common injury is to the fascia. It is very fragile. When it is damaged from trauma or strain, it heals only partially with scar tissue. This partially healed state can remain for years or even a lifetime. Within the scar tissue, small spots called trigger points will develop. It is not completely understood how these trigger points appear or why they act as they do, but it is known that they are connected to the ongoing pain. Trigger points are also capable of referring pain to other places. As an example, a trigger point in the muscle in the buttocks can refer pain down the back of the leg or a trigger point in the muscle in the back of the shoulder can refer pain down the arm to the hand. It also is well known that if you resolve the trigger points, the pain from them will disappear. There are several treatment strategies available to treat this kind of pain. In our office we use one of the most effective tools available. 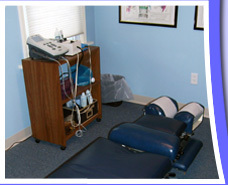 We combine an “electrical muscle stimulator” with an “ultrasound” machine. The electrical muscle stimulator has a unique ability to identify exactly where the trigger point is and the ultrasound machine uses sound waves at an extremely high frequency to dissolve the trigger point and heat the muscle. Heating the muscle causes the blood vessels to get bigger. This brings more oxygen and nutrients and helps to flush away waste. Usually the treatments take four minutes each as are repeated six to twelve times at a frequency of two to three times per week. Most of the time this will resolve the trigger points and consequently, heal the muscle. As this happens, the pain related to the trigger point disappears. The treatment is essentially painless. What is interesting is that as the wand with the electrical current is moved over the surface of the skin, the sensation is one like a hairbrush; felling prickly or bristly. When the wand is moved over the area where the fascia damage is, it feels distinctly like a bruise. It is not painful, but clearly identifiable as a bruise would feel if one pressed on it. With treatment the area of the bruise feeling gets smaller and less intense. As it disappears, so does the pain that comes from the muscle injury. Usually the reduction of the trigger points will reduce or relieve the pain, often permanently. How much treatment is needed and how successful the treatment is usually related to the magnitude and the age of the injury. If you have any questions, please feel free to call our office. Understanding the problem is half of the job of solving it. If you are ever faced with an urgent problem after hours, call the office number and the call will be forwarded to my cell phone. There is no need to live with chronic pain if there is an effective treatment that can help. The human body is designed with an amazing intelligence. The spine is built of blocks (vertebrae), cushions between those blocks (discs), springs to control the blocks (muscles), and straps for support (ligaments). Together, they work as an integrated machine. Both the neck and low back have an arch forward that increases the spine’s strength by almost a third. For a young adult male, the base of a healthy spine will withstand as much as 1400 pounds of stress. That is almost as much as the front end of a car. However, if that same man twists to the side, the weight his spine can withstand drops to only about 1000 pounds. If that man carries a 50 pound weight approximately two feet in front of his chest, he can create almost 800 pounds of stress at the base of his spine. If a misalignment (subluxation) diminishes his maximum strength by only 200 pounds, then his back will fail. Most disc herniations that occur in young people usually occur in this way. The disc is like a jelly doughnut. There is a tough, fibrous outer coat shaped like the doughnut and a toothpaste-like nucleus that is much like the jelly. Under ideal conditions, the nucleus is forced forward and trapped in a very strong pocket of ligament tissue. When the spine is misaligned and the curve is altered, some of the pressure of the nucleus is directed to the rear of the disc where the wall is much weaker. The fibers of the rear of the disc can start to tear. The tearing of the wall (annulus) can cause a bulging disc. As the fibers stretch and tear, there is usually a great deal of pain that is sharp initially, but then changes to an aching, cramping pain. If the condition is not treated properly, a cycle begins of mild discomfort followed by strong pain after exertion or prolonged activity. If a tear begins to occur and the spinal misalignment is not corrected quickly, or the tear is not properly treated, then the tear will widen and the nucleus will push its way into the pocket created by the bulge. This is a disc herniation. The pain is usually more severe and is often accompanied by radiating pain to the arms or legs. This happens because the amount of space for the nerves in the spine is limited and the pressure of a herniation can irritate or squeeze the nerve at its root. Occasionally, the herniation is so bad that the disc wall fails and the disc nucleus material escapes into the spinal canal. In these cases the pain is usually intense and unrelenting. In this type of case, surgery is often necessary to remove the free pieces. Disc injuries are usually identifiable. There is usually pain on coughing or sneezing. The pain is usually relieved by lying down and increases with sitting, standing, or walking. The diagnosis is confirmed with a MRI or CT scan. If the injury is severe enough, there may be pain, numbness, or weakness in the legs. Sometimes the normal reflexes disappear. Treatment for a disc injury is straightforward. The disc is a weight bearing structure. Therefore, part of the treatment is to keep weight off of the injured disc. This is much like putting a bone in a cast when it is broken. The treatment usually consists of four parts. First is the chiropractic manipulation to balance the spine and prevent any new irritation. The second is to perform intersegmental traction to create a negative pressure on the nucleus material and try to draw it inwards away from the injured nerve root. The third is to prescribe a lumbosacral support belt that will help support the low back while the patient is upright. The fourth is a period of time where the patient remains recumbent; either lying or reclining up to 30 degrees for 50 minutes out of each hour. The remaining 10 minutes the patient can get up and move about the house. This is done so that the weight of the person will not injure the disc further. When the pain intensity reduces to a mild level, then the time up is increased and light exercise and a walking program are initiated. As long as the pain level does not increase, the time up is increased and the walks are lengthened. The time of returning to work is usually directed by the patient’s ability to accomplish these functional goals. Generally, when a person can walk two miles in 30 to 35 minutes on three separate trips in a single day without the pain level rising above mild, then they are able to return to work at a light duty level. When they can walk four miles in 60 to 65 minutes five days in a row without the pain levels rising above mild, then they can return to regular duty. Office visits are done every second or third day until the functional capacity goals are achieved. Generally, after a two week interval with no increase of pain above mild at the normal daily activities and full duty, the patient is discharged. With proper chiropractic treatment and ideal conditions, 85% of simple disc injuries will heal within three to four months. Usually normal daily activities can be resumed in three to four weeks. This time frame can vary if the patient is older, is in poor health, the injury is older, or if there are multiple levels of disc injury. If you have any questions, please ask the staff or me right away. Understanding the problem is half of the job of solving it. If you are ever faced with an urgent problem after hours, call the office number and the call will be forwarded to my cell phone. According to at least seven government studies, chiropractic treatment is the most effective way to deal with a disc injury. We want to do everything that can be done to help you heal as quickly as possible. When a person tries to describe their pain to another person, rarely are they talking about only one pain. They feel what seems to be one pain, but it is really a composite of overlying pains, each with its own origin and characteristic. So, the attempt to describe pain is really an attempt to describe the composite picture, rather that the individual pains themselves. When a person attempts to describe the pain from an injury to the jaw or Temporal Mandibular Joint (TMJ), this is usually the case. We will discuss the different parts of the face pain that people lump together when they describe a TMJ problem. The TMJ is a unique type of joint. It is a joint that is hinged in two places, instead of one, much like a gate to your yard. This is important because an injury to one of the hinges can cause inflammation of the other. If one side of the jaw is injured, then the direction that the jaw moves as you chew or speak is off center. This will cause the uninjured side to become irritated. The TMJ itself is made of different parts. It is a joint that allows for movement between two surfaces (the upper and lower parts of the jaw). Between these surfaces is a disc similar to the ones in your back. Surrounding this disc is fluid and a ligament cover that contains the fluid, and several muscles that attach to the surfaces of the joint. This allows for the movement that makes the motion of chewing, speaking and facial expressions involving the mouth. All of these structures are vulnerable to injury and subsequent inflammation. This inflammation is the driver of the pain. Usually, injuries to the TMJ occur because of a sudden force to the neck or head. We call this an acceleration or deceleration injury. This is commonly seen in motor vehicle accidents, falls, or blows to the head or face. Although it has been known to occur if a person bites into something very hard or large. Usually the bottom half of the jaw is subjected to a force that pulls it backwards in relation to the top half causing the ligaments to stretch or tear, the disc to tear, or the muscles and fascia to stretch or tear. When this happens the injured tissue will swell internally and become painful. This pain can be severe. Sometimes the pain can radiate to the head , neck, or teeth. There are cases where the symptoms can include less obvious symptoms such as headaches, dizziness, or fatigue. The diagnosis of TMJ Syndrome is straightforward. The examination will first include a careful history. Then the motion of the jaw is observed. Most people with a TMJ problem will have movement of the jaw that is off-center. Some times the jaw will move straight down about half way and then suddenly shift to one side or the other. Often, there will be a grinding or “popping” sound with the off center movement. Then, tender spots are usually identified by pressing in the area around the jaw on the outside, and occasionally on the inside. These observations are signs that the joint is inflamed and that the muscles around the joint are in spasm. The first thing to do in the treatment of TMJ Syndrome is to be sure that the dentition and bite mechanics are correct. This is done by seeing a dentist for an examination. If the bite mechanics are not correct, then each time you chew you are irritating the joint further. Once the bite mechanics are normal, then the chiropractic treatment will include several components. First, the alignment of the neck must be intact. Distortions in the alignment of the neck can cause an alteration of the tone of the muscles that control the motion of the jaw. Second, there is treatment that you will do at home to reduce the spasm and inflammation such as using a cold pack or moist heat. If necessary, ultrasound coupled with electrical muscle stimulation will be used to further reduce inflammation as spasm as well as help the injured muscles heal. In more severe cases, the treatment sometimes will take three to four weeks. After the pain has subsided, exercises will be recommended to help the muscles regain a balance in tone and strength. Usually if there are no painful episodes over a three-week period, then the case is closed. With proper chiropractic treatment and ideal conditions, TMJ Syndrome will resolve most of the time. If the pain is caused by one event and the damage is not too severe, then usually the relief is realized quickly and the condition resolves completely. If the cause is on ongoing event, such as grinding teeth at night or a repetitive irritation, or if the damage is more extensive, then the condition is more difficult to resolve. If you have any questions regarding the diagnosis or treatment of TMJ Syndrome, please ask the staff or me right away. Understanding the problem is half of the job of solving it. If you are ever faced with an urgent problem after hours, call the office number and the call will be forwarded to my cell phone. Using a drug free approach to health problems is always the best first step. We want to do everything that can be done to help you heal as quickly as possible. When a person tries to describe their pain to another person, rarely are they talking about only one pain. They feel what seems to be one pain, but it is really a composite of overlying pains, each with its own origin and characteristic. So, the attempt to describe pain is really an attempt to describe the composite picture, rather that the individual pains themselves. When a person attempts to describe headache pain, this is usually the case. We will discuss the different origins of head pain that people lump together as a headache. The muscles in the base of the skull and upper neck are very small. They are responsible for the position of a three ounce bone that supports a fifteen pound head. There are many reasons that these small muscles can be overwhelmed. It could the simple matter of a spinal misalignment of the spinal bones in the neck. It could be that emotional, mental, or physical stress has caused those muscles to become exhausted. Or, those muscles may have been traumatized by a fall, work injury, or motor vehicle accident. The term “whiplash” was specifically coined to describe the damage to muscle when the head was forced back and forth suddenly. Where whiplash has occurred, the small muscles at the base of the head are damaged and the damage causes “trigger points” to emerge. These trigger points have the ability to refer pain into the head from the neck. This usually occurs in the forehead, temple, or behind the eyes. Sometimes headaches can be caused by what we call a “toxic” condition in the body. This would include the headaches one gets from a fever or cold, a sinus infection, a hangover, an allergy, a chemical sensitivity, or other irritating substances. Often, there is a specific trigger from the environment that is the cause. Sometimes these triggers will cause the blood vessels in the tissues beneath the skull to rapidly constrict and expand. In this case, one will experience a “prodromal” or pre-headache symptom such as flashing lights or odd sounds or smells. This would be considered a true migraine headache. Occasionally, headaches will occur that are intense and unrelenting. These can be caused by something that is occupying space in the skull and causing pressure. This would include the extremely serious conditions such as an aneurysm, a tumor, or other type of growth. The diagnosis of the type of headache lies in the ability to determine what structures are causing the pain. We usually proceed from the simple to the complex. First, one looks for the trigger points or soreness in the key muscles that have referral zones into the area of the reported head pain. If the trigger points that are identified in a simple examination can reproduce the pain of the headache, the odds are very good that the cause has been found. If that is not fruitful, then a journal is kept over a two week period to identify what foods, environmental irritants or chemicals to which you may have been exposed. If both of these approaches do not yield the identity of the pain source, or the pain is severe and unrelenting, then advanced imaging such as x-ray, CT scan, or MRI is ordered. The treatment strategy always progresses from the most simple to the most complex. For the simple headache pain generators, we us a sprain/strain approach. 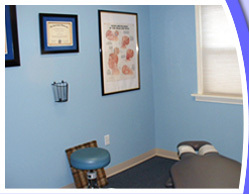 Chiropractic manipulation is done three times with ice used in the first interval and moist heat used in the second. Usually the pain has abated by this point. If that is the case, then exercises are given and the case is generally closed three weeks later. In cases where muscle injury has occurred, the steps mentioned in the prior paragraph are used first. Then that treatment is followed by an average of six therapy treatments of ultrasound in combination with electrical muscle stimulation. This is usually effective at resolving the trigger points and helping the muscle damage heal. Once this process is complete, then the exercises are given. In cases where there is a food trigger, food allergy, or chemical sensitivity, then a journal is used to identify what irritant corresponds with the timing of the headaches. Two weeks is adequate for a representative sample. If allergies are suspected, sometimes an allergy test is ordered. Once the irritant is identified and a suitable change is recommended that successfully curbs the headaches, then three weeks of exercise is recommended. Usually, if a patient goes two weeks without any recurrence of pain, then they are discharged. With proper chiropractic treatment and ideal conditions, headaches will resolve most of the time. If the pain is caused by stress or misalignment alone, then usually the relief is immediate and the headache is usually gone before leaving the treatment room. If muscle damage or the isolation of a trigger is involved, then it could take three to twelve weeks to solve the problem. If it turns out to be a space-occupying lesion, then an appropriate referral to a specialist is arranged promptly. If you have any questions, please ask the staff or me right away. Understanding the problem is half of the job of solving it. If you are ever faced with an urgent problem after hours, call the office number and the call will be forwarded to my cell phone. Using a drug free approach to health problems is always the best first step. We want to do everything that can be done to help you heal as quickly as possible. The carpal tunnel is a passageway that is created by the unique shape of four connecting bones in the wrist. Through this tunnel passes several tendons as well as blood vessels and nerves that supply the palm and fingers. Carpal Tunnel Syndrome(CTS) is a condition where the nerve that passes through the carpal tunnel is compressed. The result is the hand feeing like “pins and needles”, aching, or having the muscles of the hand begin to shrink and “waste away”. There are many different activities that seem to aggravate CTS symptoms. These include using a keyboard for a prolonged periods of time or hammering or using a screwdriver for a prolonged period. Most anything that involves prolonged bending at the wrist or use of the forearm muscles can aggravate the symptoms. There can be several factors causing CTS. It is possible that degenerative arthritis may have set in the bones in the wrist. This would change the shape of the surface of the bones of the wrist and reduce the size of the carpal tunnel. Another cause could be a misalignment of the bones of the wrist causing a narrowing of the carpal tunnel. Also, there could be a misalignment in the vertebrae in neck that is irritating the nerve that eventually goes through the carpal tunnel. The most common cause is when the muscles of the forearm are inflamed due to overuse and the tendon that goes through the carpal tunnel swells, compressing the nerve. The diagnosis rests on identifying the parts that are inflamed. The simplest test is to press on the muscles of the forearm and where they attach to the elbow. If the muscle is inflamed there will be spots that are very tender and easily identifiable. These spots are called trigger points and represent the areas of damaged or inflamed muscle. There are also orthopedic tests done easily in the doctor’s office that will suggest that the carpal tunnel is too narrow. Plain film x-rays of the wrist or a MRI can be helpful if the cause of the CTS is arthritis. A more sophisticated test can be done by a neurologist where needles are used with a small electric current to measure the ability of the nerves and muscles to conduct a signal. This is called an EMG/NCV test. It stands for ElectroMyoGraph/Nerve Conduction Velocity test. This test will show where the nerve is being impinged. Most of the time CTS can be diagnosed with a fair degree of certainty without the EMG/NCV. Methodically, all of the possibilities should be pursued until relief is obtained. First, the neck and spine should be adjusted (chiropractic manipulation performed) to rule out a misalignment causing irritation at the nerve root in the neck. Second, the wrist should be manipulated to rule out a misalignment of the wrist bones causing a narrowing of the carpal tunnel. Usually ice follows this treatment for the following two to three days to help remove any inflammation in the joint space. After that period, moist heat is applied to the muscles of the forearm. This is done periodically over the following two or three days. On the third visit, if the CTS symptoms persist, then a series of ultrasound treatments are given in combination with electrical muscle stimulation to the forearm where the trigger points have been identified. This treatment is done six times over the following two weeks. More treatment can be done if the symptoms are persistent. When the CTS symptoms have gone away, then exercises are introduced to strengthen the forearm muscles. This is normally done for three weeks and the patient is then discharged. Most CTS cases heal in three to twelve weeks depending on the severity. We find six weeks to be the average. 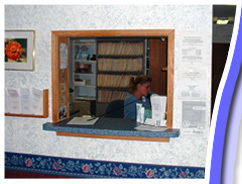 The procedures that we use will help more than two out of three people. Most people will get better. Cases that are less successful in the first two weeks will get further testing. That could involve x-rays, an MRI, or a referral to an orthopedist who specializes in this area. In this type of case, the hand specialist may use steroid injections to reduce the inflammation in the carpal tunnel or may use surgery to cut the wrist open and decompress the nerve. This type of problem usually doesn’t go away by itself. It also usually doesn’t go away by taking over-the-counter or prescriptive pain killers. As the nerve continues to be squeezed, it has a harder and harder time functioning. That is why the predominant symptom is numbness and pain. Eventually, the nerve is inflamed and the muscle in the palm of the hand will shrink as it begins to waste away. Once the nerve is damaged and muscles in the hand waste away, it is very hard to recover fully and some permanent residual symptoms are common. We hope that this information has helped you to understand more about CTS and the chiropractic role in its treatment. If you have any questions, please don’t hesitate to ask me or my staff. We are always here to assist you.